Fields, streets and cities, but also forests planted in rank and file, and dead straight rivers: humans shape nature to better suit their purposes, and not only since the onset of industrialization. Such influences are well documented in the Amazonian rainforest. On the other hand, the influence of humans was debated in Central Africa where major interventions seem to have occurred there 2,600 years ago: Potsdam geoscientist Yannick Garcin and his team have published a report on their findings in the journal PNAS. 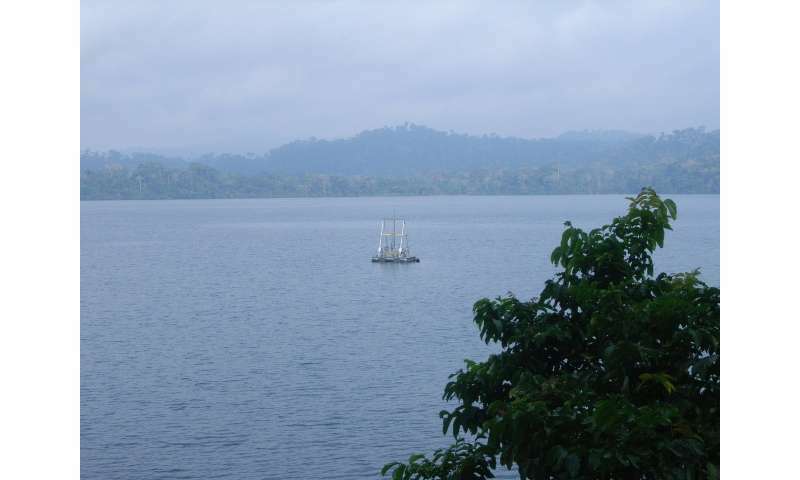 The research team examined lake sediments in southern Cameroon to solve the riddle of the "rainforest crisis." They found that the drastic transformation of the rainforest ecosystem at this time wasn't a result of climatic change, it was mankind. Yet Garcin, a postdoctoral researcher at the University of Potsdam, and his international team of scientists from UP, CEREGE, IRD, ENS Lyon, GFZ, MARUM, AMU, AWI, and from Cameroon suspected that other causes could have led to the ecosystem's transformation. By reconstructing both vegetation and climate change independently - through stable isotope analysis of plant waxes, molecular fossils preserved in the sediment - the team confirmed that there was a large change in vegetation during the rainforest crisis, but indicated that this was not accompanied by a change in precipitation. "The rainforest crisis is proven, but it cannot be explained by a climate change," says Garcin. "In fact, in over 460 archaeological finds in the region, we have found indications that humans triggered these changes in the ecosystem." Archaeological remains older than 3,000 years are rare in Central Africa. Around 2,600 years ago, coincident with the rainforest crisis, the number of sites increased significantly, suggesting a rapid human population growth - probably related to the expansion of the Bantu-speaking peoples in Central Africa. This period also saw the emergence of pearl millet cultivation, oil palm use, and iron metallurgy in the region. If the people involved were the Bantu? I would additionally suggest that a large part of the abrupt ecological change was an effect of the Bantu's cattle economy. Setting fires every year to clear brush and sprouting trees. Opening up space to expand grasslands for grazing. Also fertilizes the soil, in moderation. Among the Bantu, Celts and other proto-Texans, cattle were wealth. The technology of iron-working needed charcoal. And iron tools certainly improved lumbering trees and working wood.